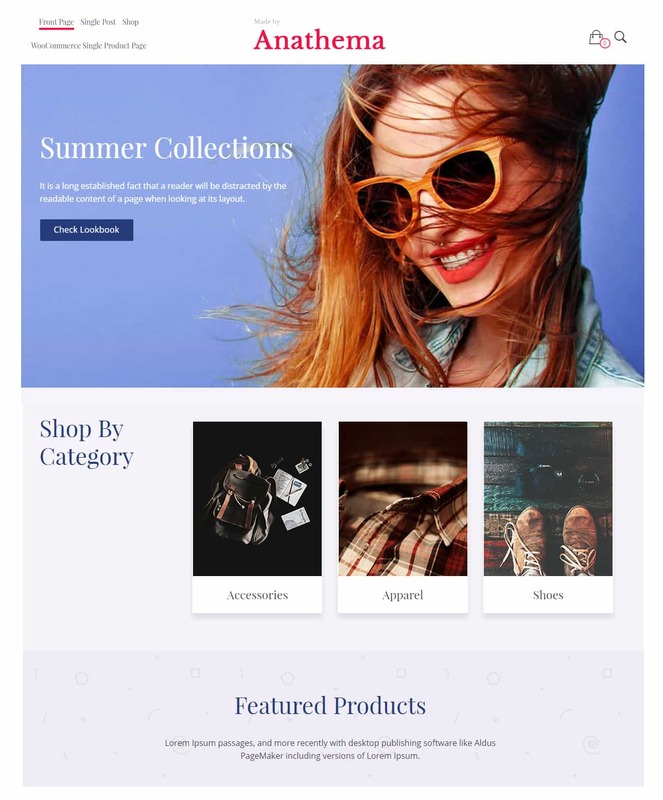 Free WooCommerce Themes WordPress 2019. We pick the most innovated and creative best WooCommerce themes around. Looking to open online ecommerce store using woocommerce plugin, we put a list of the best woocommerce WordPress themes around. Each theme is 100% free and ready to be setup into amazing online store, where you can sell digital or physical goods around the world. WooCommerce is the most popular ecommerce solution on the market for WordPress extension helping millions of people sell online. Each theme is fully functional with the latest woocommerce plugin. Creating online store with free ecommerce solution is as easy as ever. The team behind woocommerce are once of the best on the market updating and adding more useful features to help you sell online. Most of those themes come with full documentation, and some of the free themes also come with premium updates if you fell the need of some extra help from support. 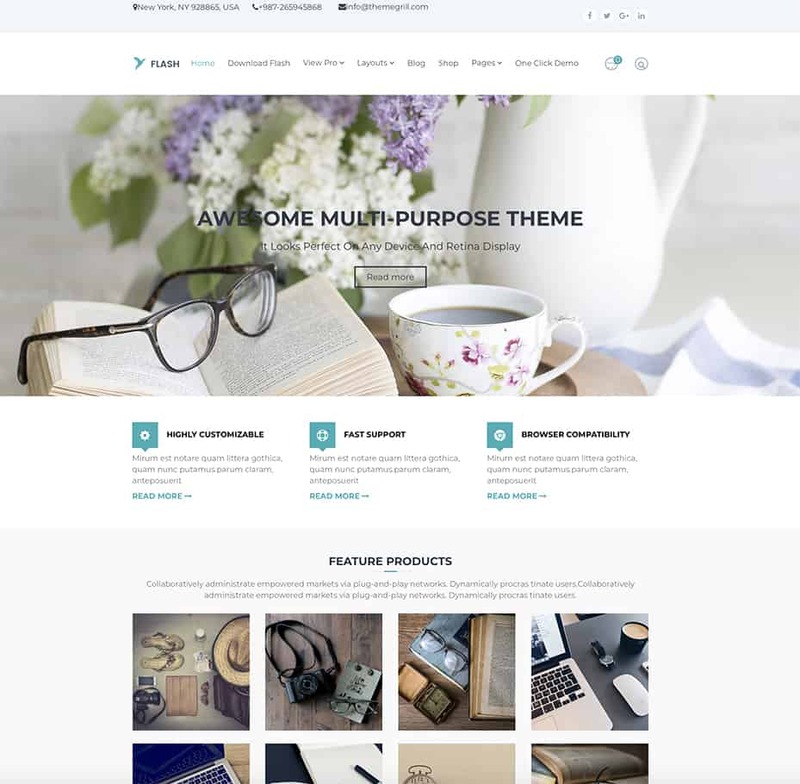 Those themes are great start to your online business saving you some money and helping you get a head start, you can always upgrade to premium woocommerce theme later on once you start making some extra income. WooCommerce Product Blocks Pro Gutenberg Click on any theme and download the WooCommerce theme of your choice. We will keep adding new ecommerce themes so check back soon. 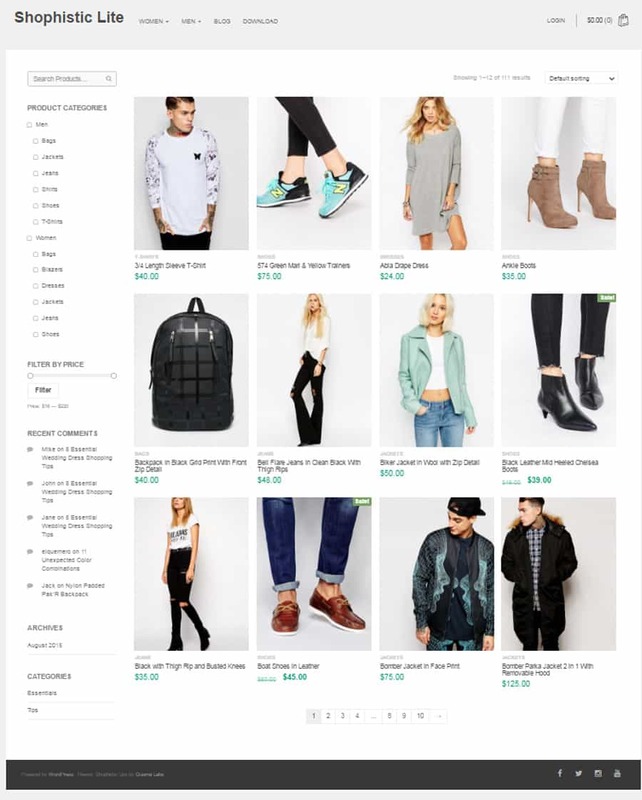 Shopper best WooCommerce WordPress theme with grid layout and minimal design. Perfect ecommerce theme to setup your modern looking online store, with build in load more button to load more products, and 3 footer widgets to add your email subscription or description about your store. Shopper is fully responsive ecommerce WordPress theme perfect to setup your first store and start selling online. WooCommerce Product Blocks for Gutenberg Theme are the easiest, most flexible way to display your products on posts and pages! Gutenberg Starter WordPress Theme is great free theme for anyone building modern and beautiful Ecommerce WordPress websites. Gutenberg Blocks are a great new tool for building engaging content. With blocks, you can insert, rearrange, and style multimedia content with very little technical knowledge. Instead of using custom code, you can add a block and focus on your content. Without being an expert developer, you can build your own custom posts and pages. Here’s a selection of the default blocks included with Gutenberg. eStore free best woocommerce WordPress theme with many options to customize and adjust your layout. Well design and coded to wordpress standards. It easy to setup and customize to your need, wordpress this is one well design ecommerce solution woocommerce theme for any small to large online shops. Flash is the most easy, flexible, feature-rich and advanced free multipurpose WordPress theme we have ever built. Active users for this theme is growing rapidly. Flash Free WooCommerce WordPress theme is modern and clean simple to use with many ecommerce features which will make your store more appealing to many online shoppers and help you convert more visitors into buyers. 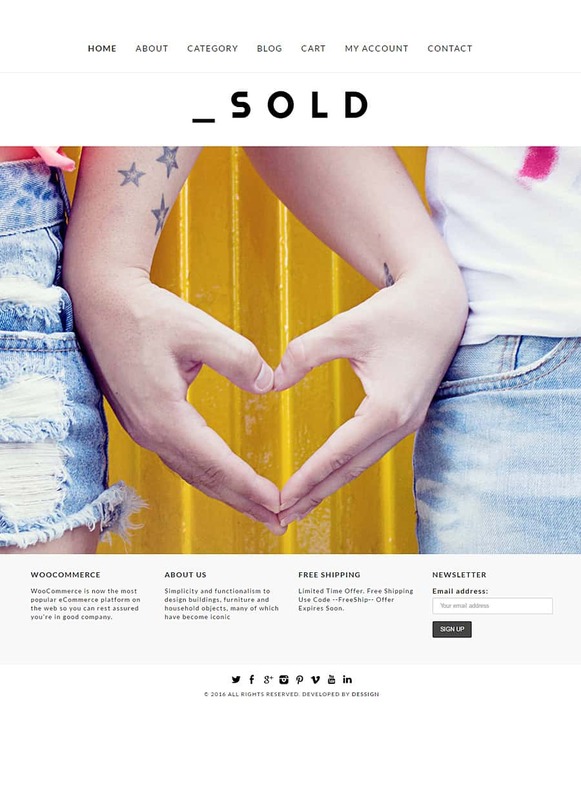 Sold is a amazing WooCommerce WordPress theme with build in responsive fullscreen slider to show your images in a full view. Perfect for setting up your first ecommerce store, this is easy and simple to install WooCommerce theme. It comes with setup video instructions. It has a footer with 4 widgets so you can easily add your email newsletter , hours of operations and about section. The shop free and beautiful unique woocommerce theme with left side navigation and gird based woocomemrce layout. Simple but powerful best woocomemrce theme when looking for your next modern online store solution. 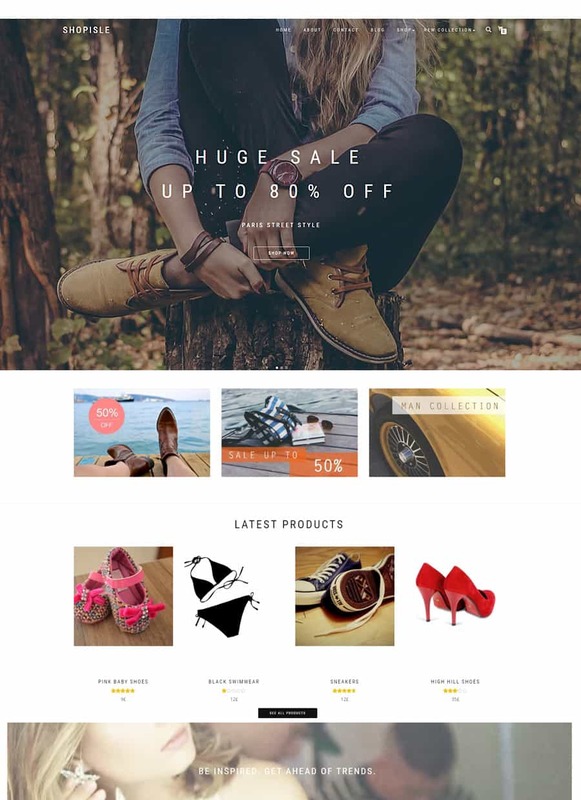 Ecommerce and woocommerce wordpress theme for simple and easy to customize online shop. 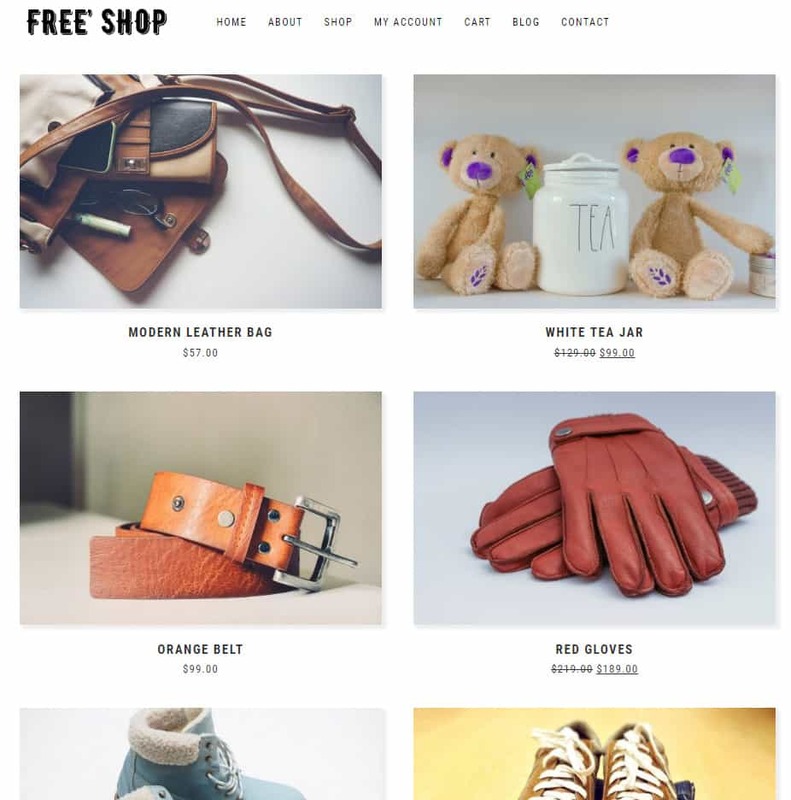 Free Shop simple and minimal WooCommerce WordPress theme if you looking for something easy to setup and maintain. 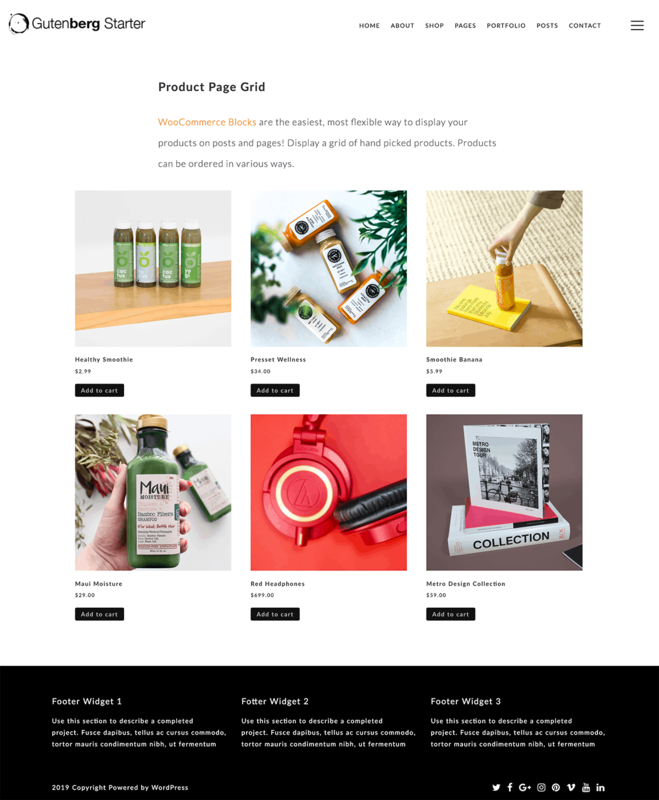 2 Column fully responsive grid layout makes this theme super easy to navigate and shop, this is one ecommerce template that focus only on your product and leaves all the other behind. 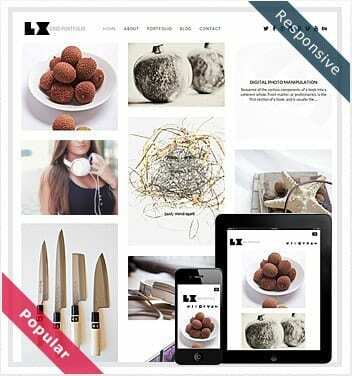 Free but very powerful simple online woocommerce theme. 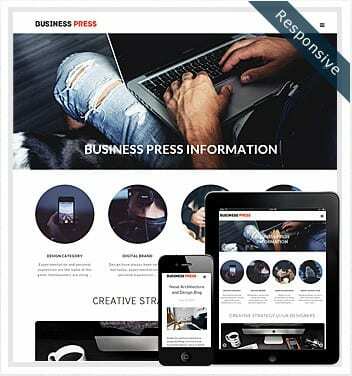 AccessPress Store is a next generation WooCommerce ready free WordPress theme for online shoppers. With many ecommerce solutions and great design this theme has as many options as you can think to get your online ecommerce store ready. With build in responsive slider to many featured homepage sections to get your customer ready to buy your online product. Hestia is clean and fully responsive WooCommerce WordPress theme. If you looking to sell your online product then this theme will deliver it in clan and modern way. Hestia has build in ecommerce section helping you sell and organize your goods. With beautiful options and great layout, its easy to navigate and setup your online shop. Bellini is a Free WooCommerce ready WordPress theme with large background image, shop by category section and featured product section. Perfect ecommerce theme for anyone looking to setup modern online store. Easy to customize and beautiful to use, this theme will get your shoppers and customers ready to buy your product in no time. Ascend great responsive ecommerce theme with beautiful full scale background image. 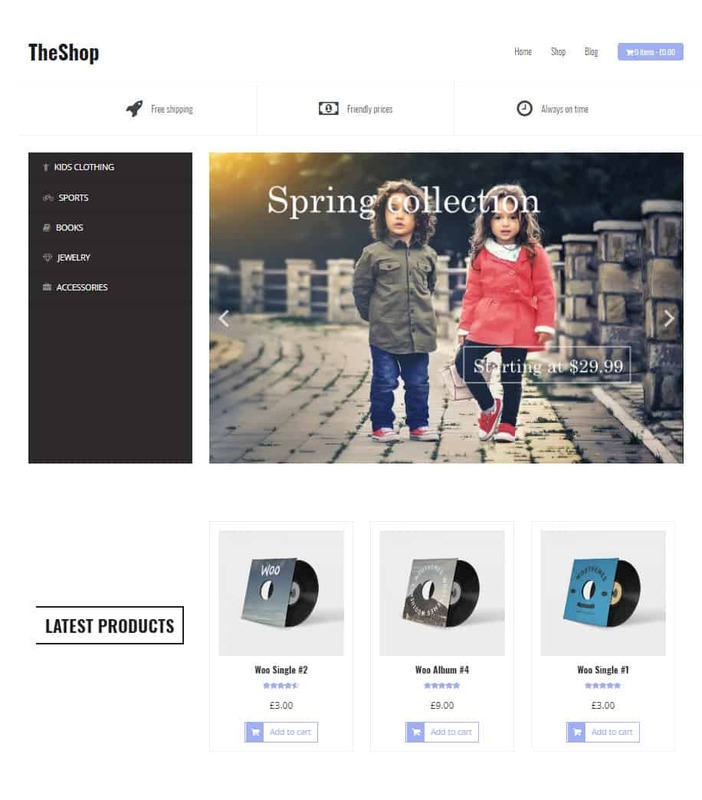 This is WooCommerce WordPress theme ready for you to open your amazing store. 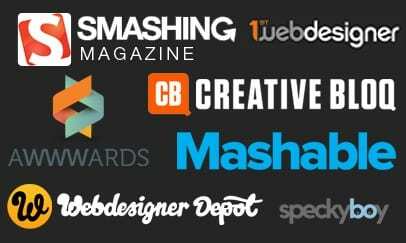 With build in section for featured, best selling, on sale and latest section to let your visitors know about what to look for when they first arrive at your website. Sophestic lite is another great woocommerce free WordPress theme with right navigation and grid layout on the right side. 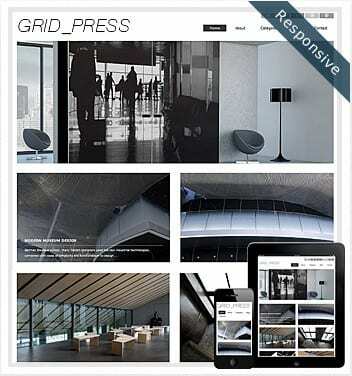 It comes with build in pagination and responsive grid focus design. This is perfect ecommerce ready theme, to start selling your product. Easy to customize and setup this is one good looking theme to get you ready to open your online store. 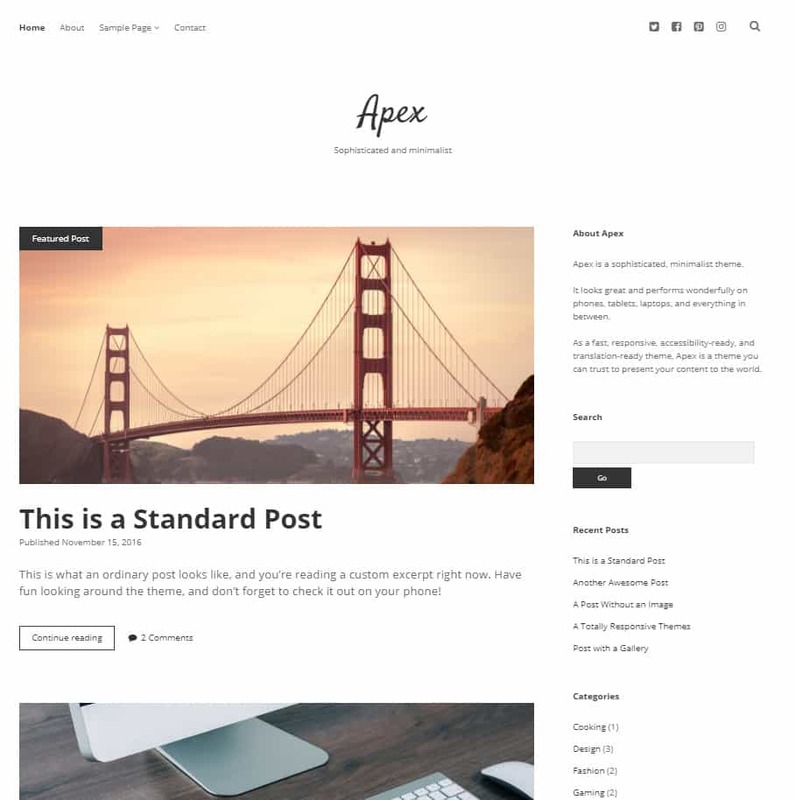 Apex is a simple and clean WooCommerce ready WordPress theme. If you looking for something simple and clean with shop option available this is perfect for you. 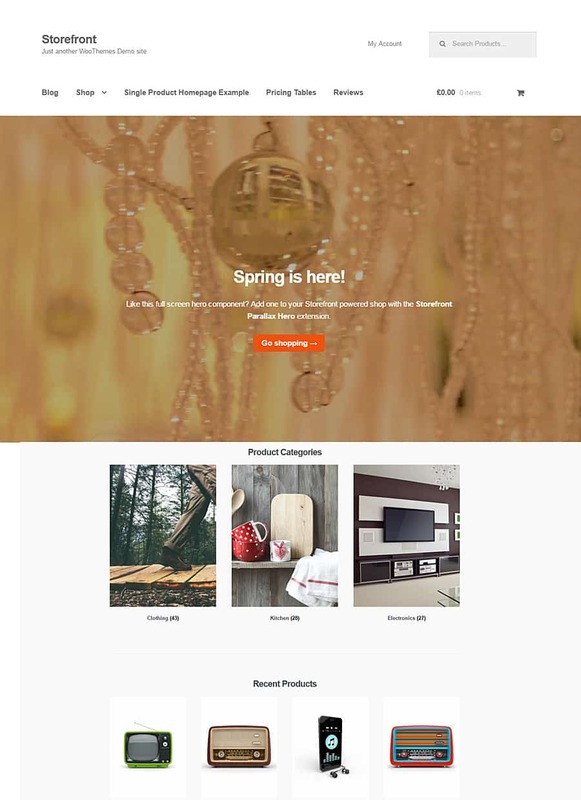 This theme is for creative blogger looking to use woocomemrce to sell in the future store. 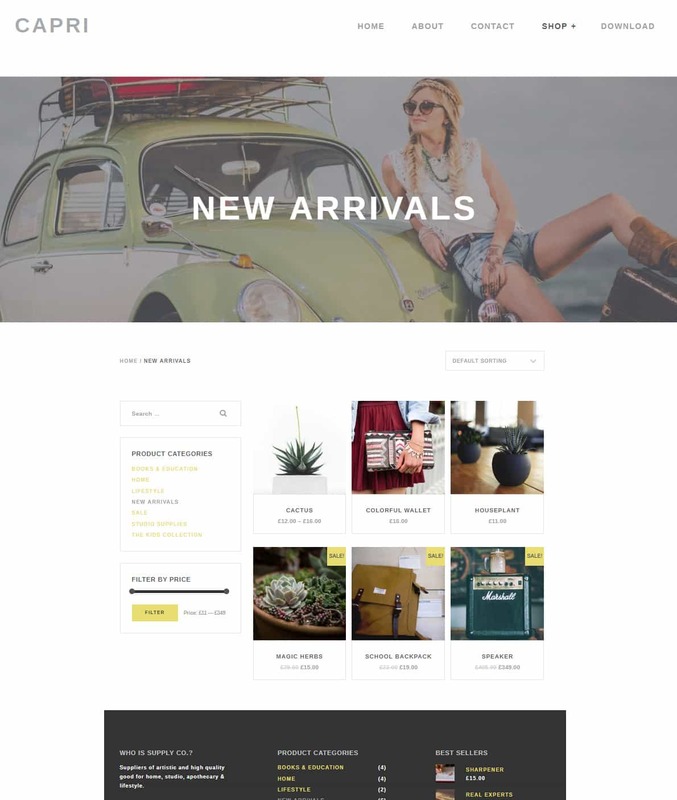 Capri WooCommerce ready WordPress theme with simple and modern layout. Well design and coded capri is perfect solution for any modern online commerce. 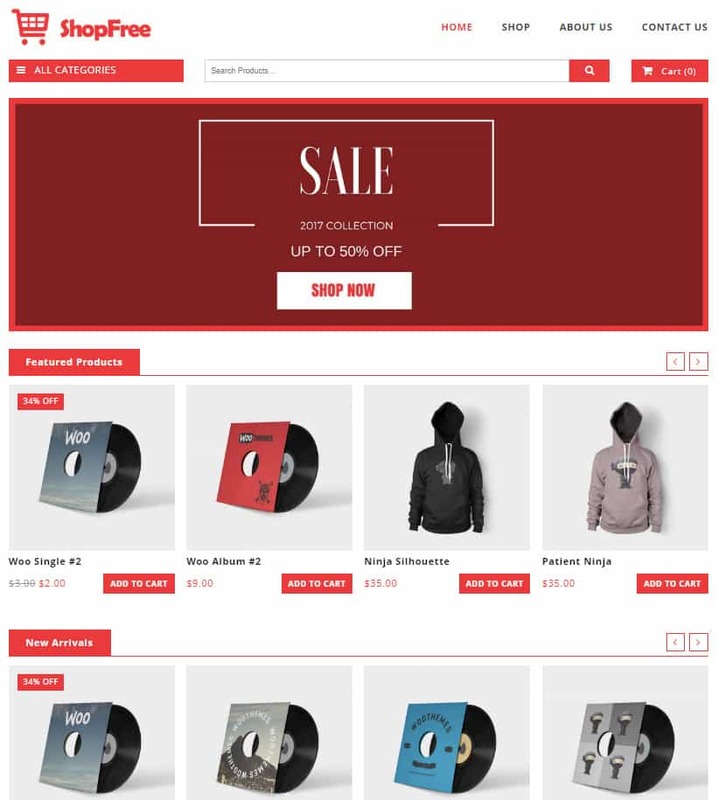 It has beautiful large feature image with left commerce navigation and grid base layout woocommerce section, perfect to start creating your next online experience and sell your product to the world. 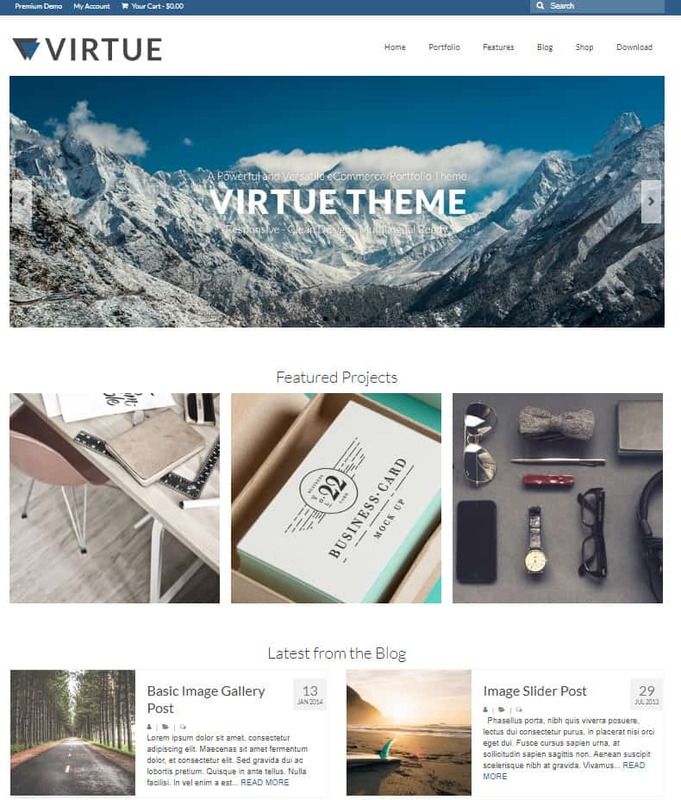 Virtue is a WooCommerce ready WordPress theme, perfect for any blogger or designer looking for shop option using woocommerce platform. 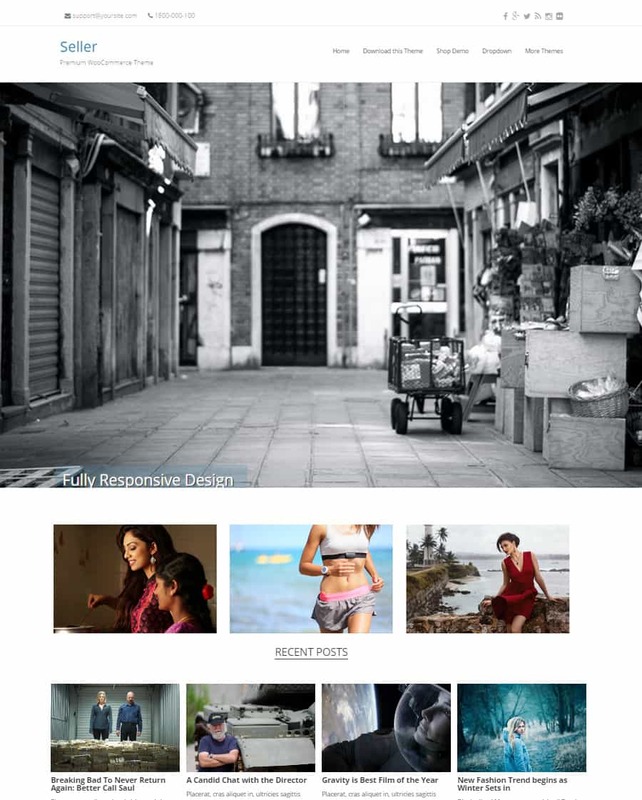 Fully responsive slider with featured images under it, and section for shop. You can always decide later to open your wordpress online ecommerce and the woocomerce plugin is ready for you to integrate with this theme. 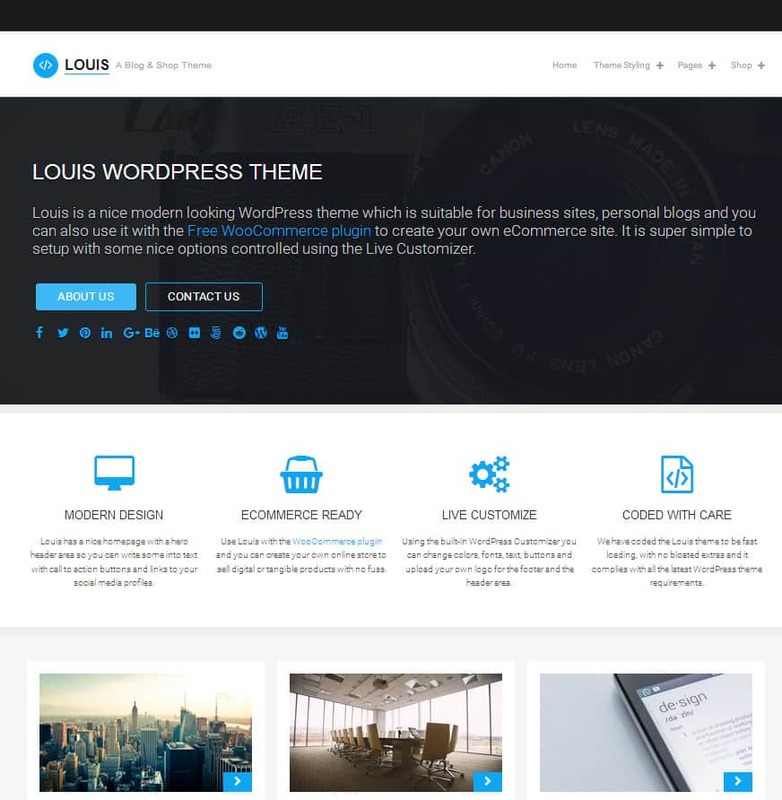 Louise lite is a woocommerce ready with many options to use a shop ecommerce solutons. If you decide to use woocommerce with this theme its already build in. Great to sell your digital goods, such as fonts, ebooks, themes, plugins etc.. 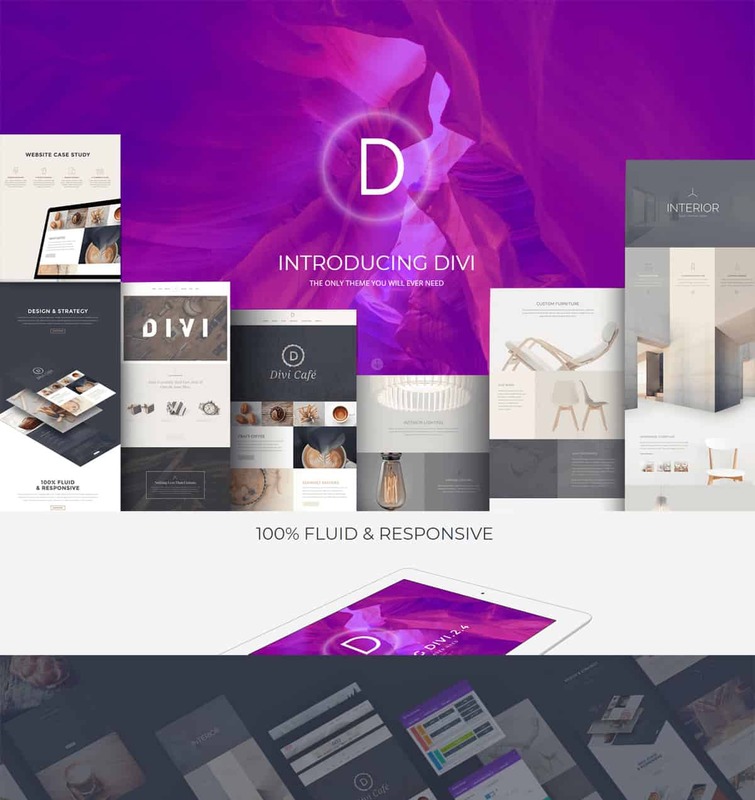 Perfect for designer looking to integrate ecommerce for later use. Max Store is amazing looking Woocommerce WordPress with so many options to choose from that you will always add some new section to make your online store grow as fast as possible. 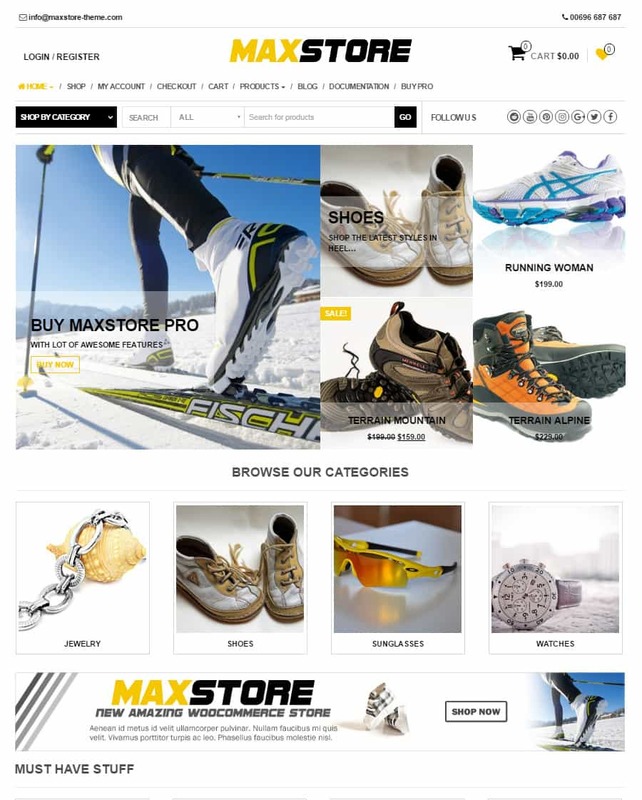 Max Store has many featured options, its grid based woocommerce theme, easy to customize almost every section of this theme, perfect to advanced ecommerce user. Seller best esolution with WordPress integration. 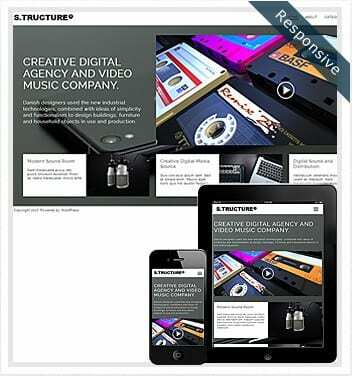 Large fully responsive design with big fullscreen image to get your visitors excited about your product. Under the slider it has recent product section you can setup. 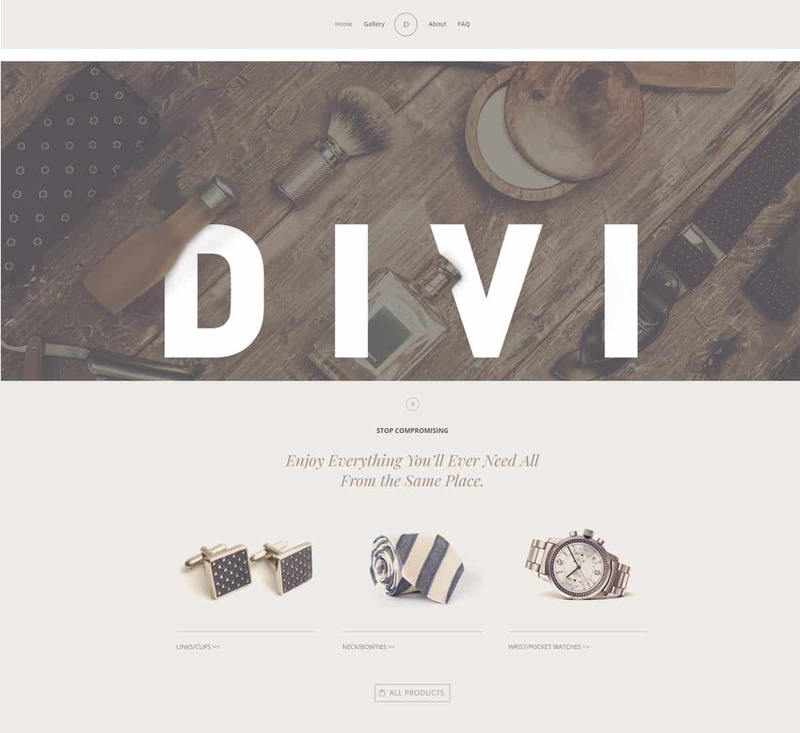 Great ecommerce theme for online stores looking for that modern look and feel. Free toy cute ecommerce with focus on selling kids online good. 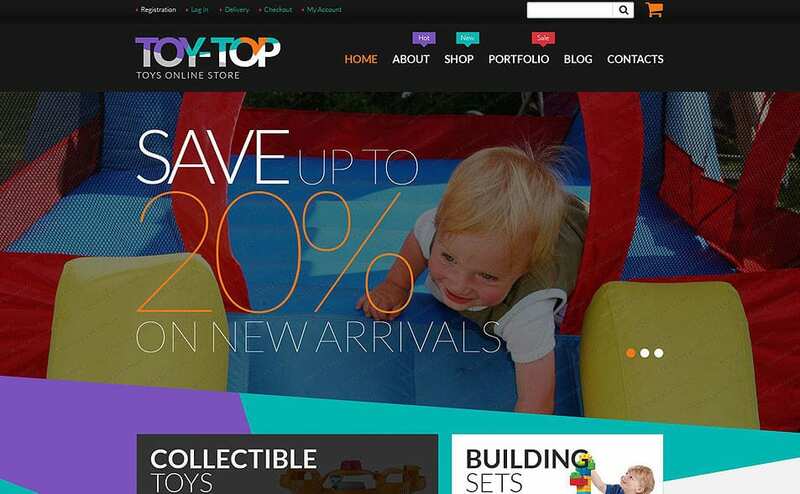 Great if you want to sell kids or cute related product, this modern woocommerce has great options to change and customize colors, fonts, images etc.. Free toy has a build in responsive slider, with easy to navigate shopping cart, perfect solution for your next online shop. 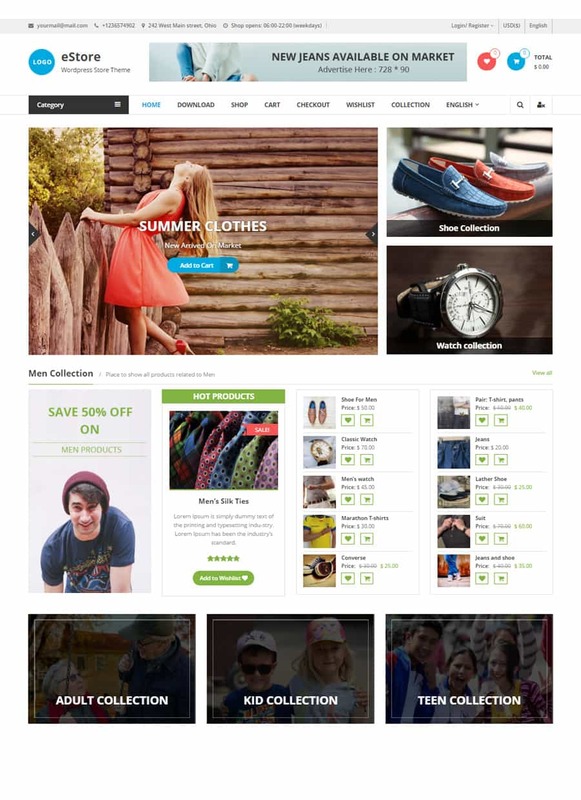 Shop free best woocommerce wordpress theme with grid layout and fully responsive design. Large call to action banner and feature and new arrivals section on homepage to help your customers navigate with ease. Great ecommerce wordpress template for anyone looking to get their product right in your customer face. 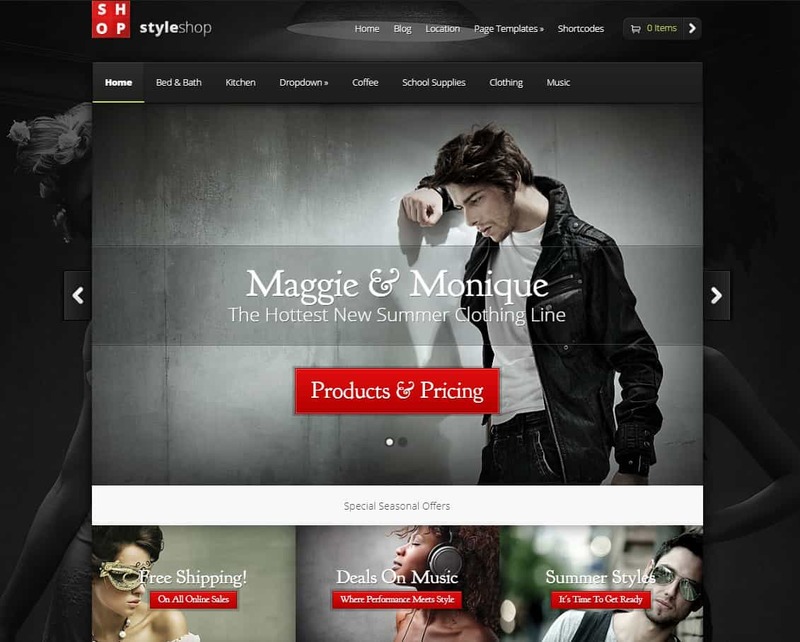 ShopIsle modern and beautiful free and fully responsive WooCommerce WordPress theme. It comes with many options to customize it looks, large background image with call to action sale and call out buttons, to help your customer navigate to your next sale. Perfect theme for large or small online shops looking for modern ecommerce solutions. 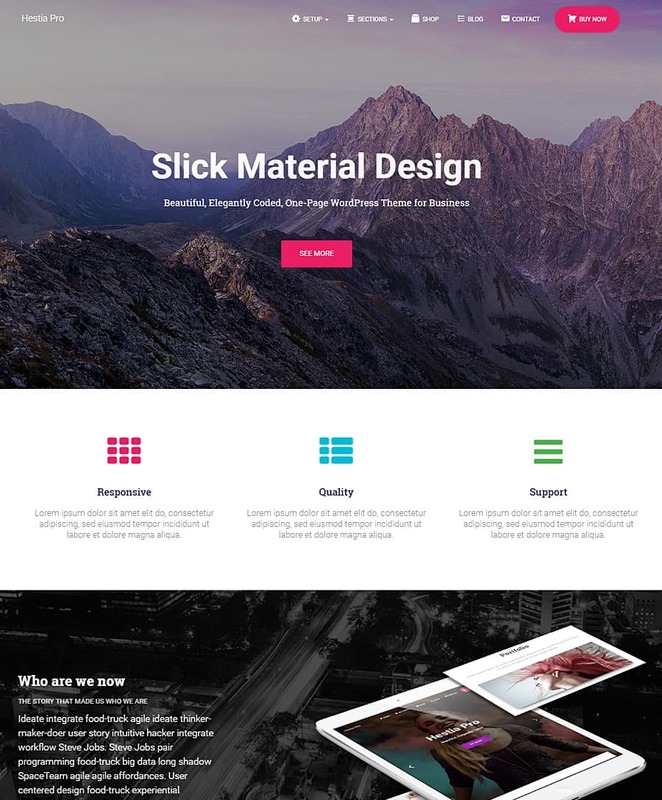 Store front is modern and sophisticated online woocomemrce WordPress theme with large image and related category section to better navigate through out the front page. 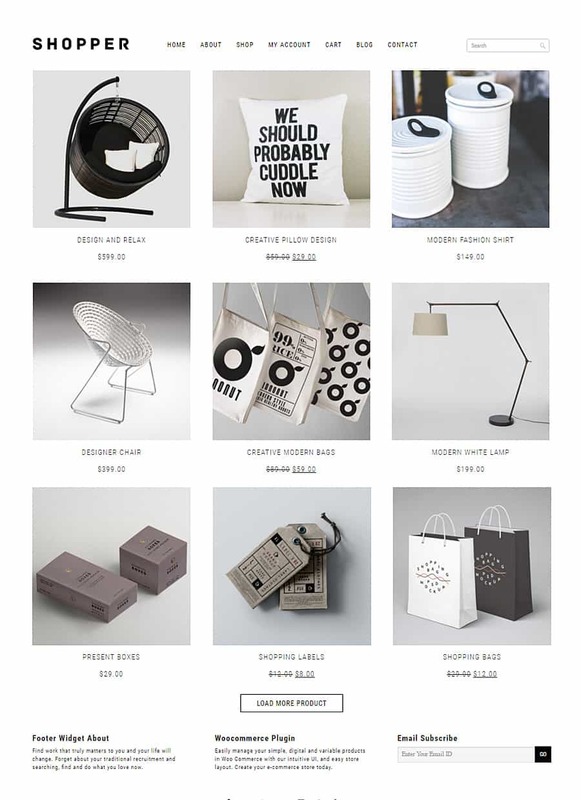 Great options for modern boutique wordpress stores and shops. 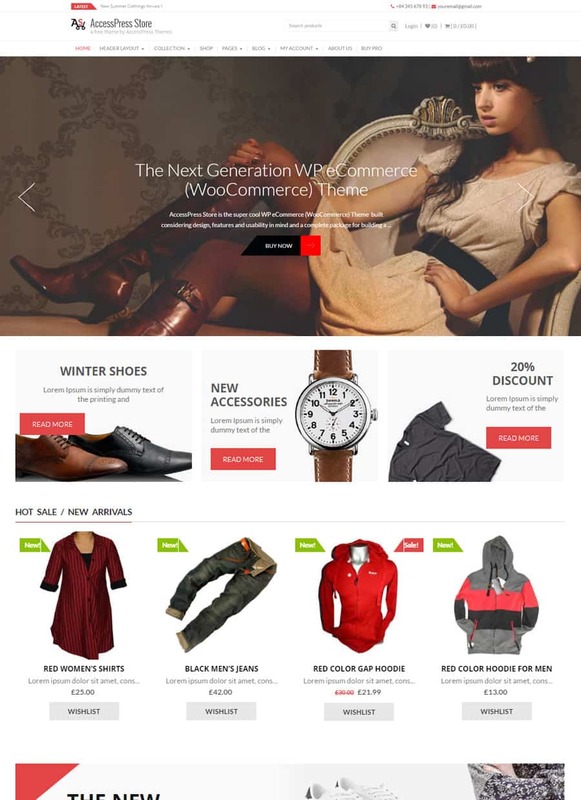 WP Store best free WooCommerce WordPrss theme with build in responsive slider and new arrival section to get your customer excited about your new products. Easy to customize and setup this online ecommerce template is amazing solution to get your store started and begin selling online. 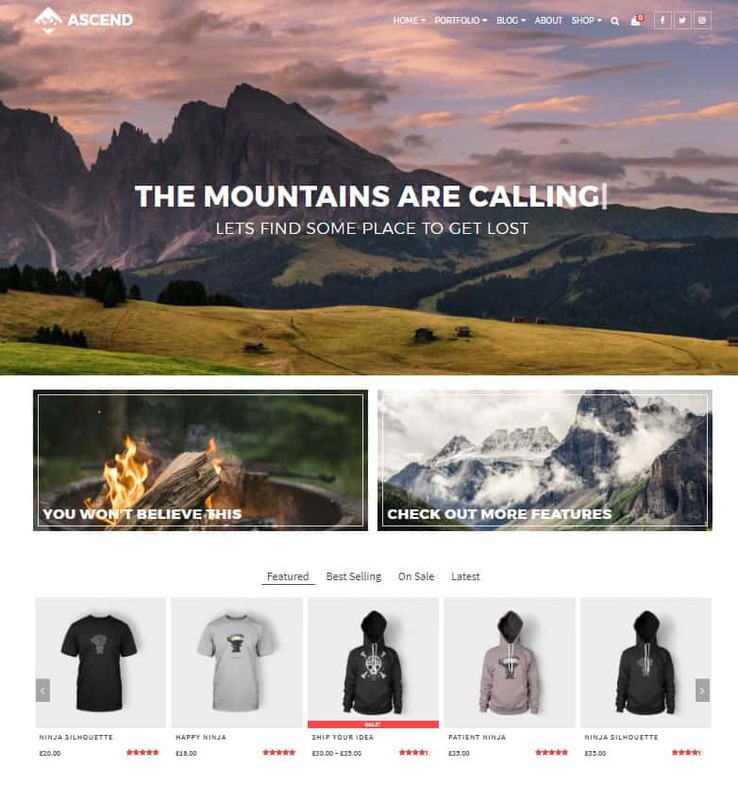 Best WooCommerce WordPress theme around with many options to fit your need.